What would you attribute Groupon’s success in India to? Only 1 – as unexciting as the answer may seem. Our focus on the right quality of merchants. We run our business by strong principles that we call the ‘Ten Commandments’, and the first and most important one is that we never offer deals that we personally do not believe in, and would not purchase ourselves. We constantly aim to offer the best deals to our consumers. The quality of deals we offer and our merchants have also helped us gain an edge over our competitors here. We realized that to win this rat-race we will have to offer curation to our customers. Handpick what we think is the best selection of deals, rather than act as a newspaper of deals. And this worked for us. Today, Groupon has worked with many top and most-loved brands in the country and created a very strong following amongst its buyers. Ofcourse, the global brand and knowledge, plus our brand’s focus on being funny and happy has helped us as well. How do you deal with the competition, both internal and external, like retaining talent from getting poached, localization of group buying sites, emergence of new players in e-commerce and other external factors? The way we see our business – it is catering to the domain of Local Services. Something that touches everyone and everyday, is massive in size and is extremely frequent in its buying pattern. The space is massive and we think of ourselves as growing this category, instead of just growing our own business. The challenge then, becomes making the customer aware of our existence, in a way that is meaningful for them. Competition in this context has been always healthy, and should actually be promoted because it motivates you to bring your game up, and leads to the overall growth of the industry. What helps is stay ahead is looking to fellow Groupon countries such as Malaysia, Singapore, Australia which are better developed than India as they have been operating longer. There is a lot to learn from them. We greatly value our workforce at Groupon, and aim to provide them with a supportive and ambient work environment, young and dynamic work culture, and commend their work with various forms of incentives, rewards and recognition. This is why we have been ranked as the 3rd Best Company To Work For in the Indian Media Industry, for 2013. Your recent marketing campaign on selling onions at Rs.9/kg was a big success. How did you come up with it and what had driven you to get into that niche? We at Groupon are always thinking of ways to make our consumers happy by offering them some JAW-DROPPING DEALS! A great deal is not just about price, but is also about the experience. When we think about marketing campaigns, we not only think about Brand & ROI, we also look for that one big idea which would have a WOW factor. An idea that’s never been done before and will never be done again. The idea for this particular deal came about one fine evening, when the entire team was sitting around and contemplating about our next BIG idea, or next BIG deals. Someone mentioned Onions, and suddenly, the idea clicked with everyone. A deal on Onions was something every Indian would want – something that made a lot of sense due to the rising prices of a basic commodity in the market, and hadn’t been done before. That is how the concept came about. The deal was pulled off within 10 days of its conception and was a massive task, especially on the backend. Where do you wish to take Groupon five years from now? To a state where everyone checks Groupon before making any purchase. If you are asked to tweet Groupon’s expansion plans in a few characters, what would that be? If a tweet about Groupon is how you know of us as a customer, we have failed! Of late, there has been a lot of speculation on Groupon’s business model. Do you have a word for your critics? Groupon is a global leader in the group buying space with a presence in 48 countries and a subscriber base of over 200 million. It is important to note that this category of deals did not exist online 5 years back and it was upon us to prove this model can work. And it has. What measures do you take to promote and develop work culture in your organization? Open Communication: Right from the top management to everyone below – we follow an open communication policy. Anyone can reach out to anyone and share feedback or contribute with ideas. Right Hiring: It all starts here. Hiring is sacred at Groupon and we are very selective. Always placing attitude in front of experience. How do you see the Indian Internet business shaping up in 2014? Can we see the emergence of new niche players or will this year be one of consolidation? As per a report by ASSOCHAM released recently, India’s e-commerce market was worth about $2.5 billion in 2009, it went up to $6.3 billion in 2011 and to $16 billion in 2013 and is expected to touch a whopping $56 billion by 2023 which will be 6.5 per cent of the total retail market. The market for online shopping has only increased in the past year, and that too massively. Factors such as rising fuel prices, shopping in the convenience of your home, anytime shopping, and home delivery at nominal prices or even free have played an important role in a surge in the number of e-shoppers in the country. I see 2014 as the year of “Clean-up”. The large players will relook at their business models and transform their growth engines into a sustainable one. Smaller players will either die or be consumed in larger setups. And mobile will play a very important role in the customer’s mind. A piece of advice for new players entering the e-commerce industry in India. Focus on ROI. A lot of start-ups focus on scale too soon. Begin with identifying a tribe of people who will love and respect what you offer. You can never become everything for everyone. Learn to delight this tribe again and again and you will see that they will spread the word. In doing so keep a firm view on ROI and don’t lose sight by the fact that others are spending huge monetary sums on advertising. Advertising can hide a bad product or an experience, but it cannot save it. Your brand should be built by what you offer and not by what you say. According to you, what is the most significant difference in the functioning of e-commerce players in emerging and developed economies? Loyalty: Considering that price is the main factors in emerging markets, loyalty is low. Hence the cost of acquisition becomes high and at times unviable. Innovation: I see emerging markets innovating a lot more, in order to solve problems that exist due to infrastructure, payments, marketing or distribution. Developed economies have processes that allow rapid scale up once the concept is proven. What has been your single biggest challenge in sourcing and retaining talent? Talent is the key ingredient to Groupon’s success. And being part of an industry that didn’t exist 5 years back, it is not easy to find talent that directly maps onto the Groupon world. The roles at Groupon India are very unique and distinctive; we aim at creating unique positions and roles for which there are no defined paradigms in the industry. So we hire differently For e.g. Ex-Restaurant Managers have been hired to close deals in the F&B category. We have a dentist by education who closes deals in the healthcare category. Groupon has actually been quite successful in managing talent and voluntary attrition, and has managed to create a culture where everyone feels part of the organization’s growth. If you were to ask just one question based on which you would make an offer to a candidate, what would that be? What’s the riskiest thing you have done in life? How had been your life prior to Groupon? Same experiences, but at a smaller scale. Prior to Groupon I was running my own startup along with 2 batchmates of mine from ISB. At its peak we were running 6 websites across multiple categories such as Matrimonial, Automobile, Education, Finance, Women etc. I have always been an entrepreneur at heart or in action. And Groupon continues this journey for me. Tell us more about your personal journey? Did you always want to be an entrepreneur? Yes. While I come from a very middle-class family (no one, even in my extended family has ever owned or run a business), I somehow was always driven towards action and the need to do multiple things at the same time. Several decisions of my life also display the same trait. I left my education at one of US’ top Universities, to come back to India, not knowing what to do next. I had all of Rs.14,000 in my bank account when I applied for a 14Lakh loan to ISB, a school that wasn’t even 5 years old back then. I left a glamorous job at A.T. Kearney to start my own venture. And I left that too, in the search for scale! I firmly believe that for a country to grow, it needs to generate opportunities to create wealth and job, not distribute them. And entrepreneurship is the solution, in my view. Do you think MBA is mandatory to do well as an entrepreneur? How has your education at ISB helped you so far? If you haven’t started out as yet and don’t know what you wish to do, an MBA can truly open doors and opportunities. I fall in that bracket and hence ISB helped me tremendously. Until then I was this science geek, not aware of a world beyond that. And the 1-year exposed me to smart individuals, a network of super-successful people and threw at me options that I didn’t know even existed. Had I already started on my venture, I would imagine an MBA to be of far-lesser value. Nothing beats the experience you get while you are building your own company. And no concepts or frameworks help at that stage, than the mantra of “get it done”. 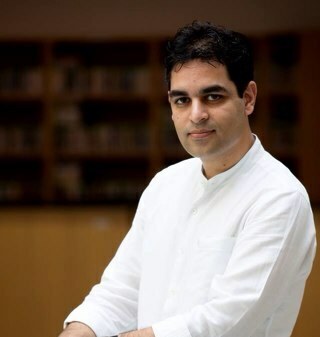 Ankur Warikoo is an Internet entrepreneur and currently the CEO of Groupon India. Prior to Groupon, Ankur was the Co-Founder of Accentium Web, which owns and operates several websites in the Indian Consumer Space, namely SecondShaadi.com (India’s largest matrimonial service for remarriages), Gaadi.com (India’s 2nd largest Car Portal), StudyNation.com (India’s #1 Education Website) amongst others. He is a graduate from the Class of 2006 at ISB, Hyderabad where he completed his MBA. Ankur also holds a degree in MS Physics from Michigan State University and a BS from Hindu College, Delhi University. Previous Previous post: How do number of applications change with experience level?